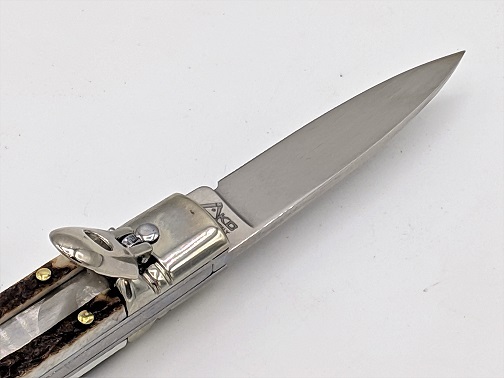 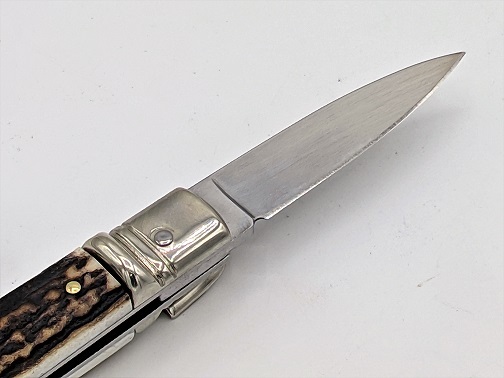 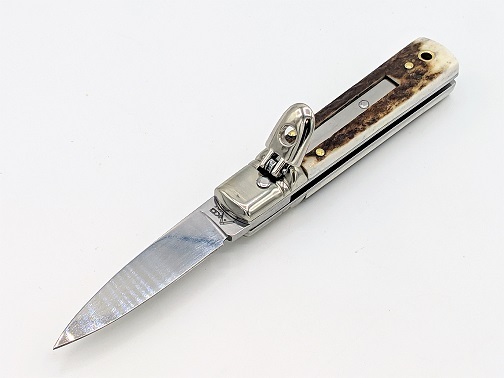 6" Stag Horn Automatic Leverletto Knife by AKC. 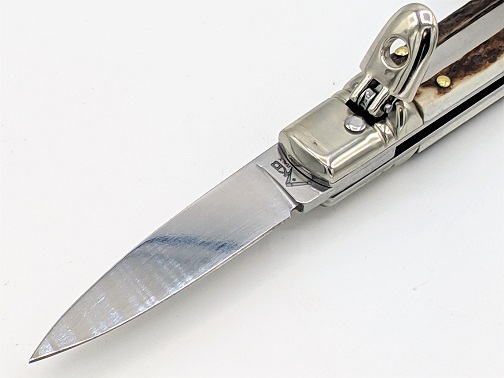 Razor Sharp Stainless Steel Drop Point Blade. 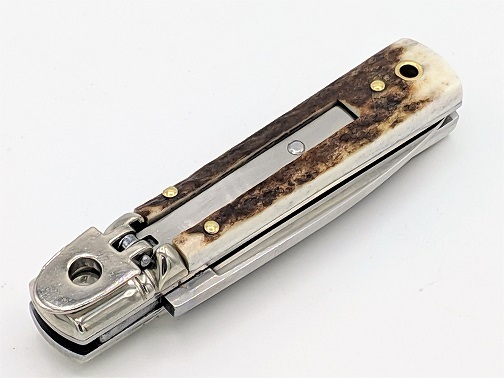 Genuine Top Notch Stag Horn Handle Scales. 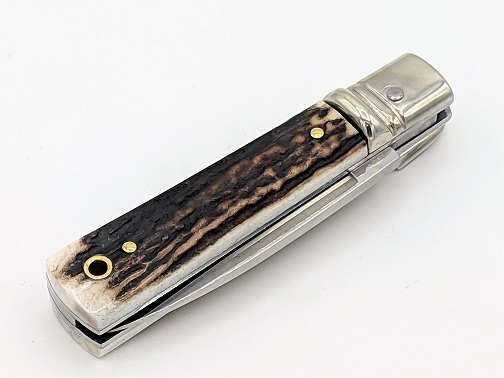 Polished Stainless Steel Frame And Nickel Silver Bolsters. Brass Hardware. 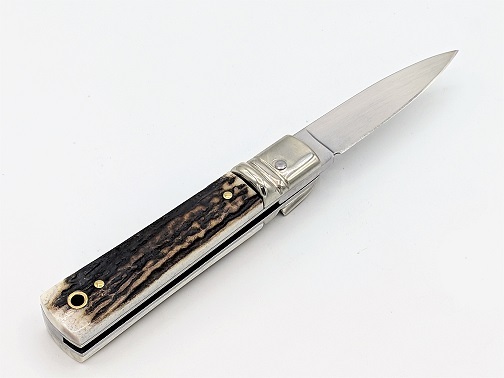 Overall Length: 6" Blade Length: 2.5"